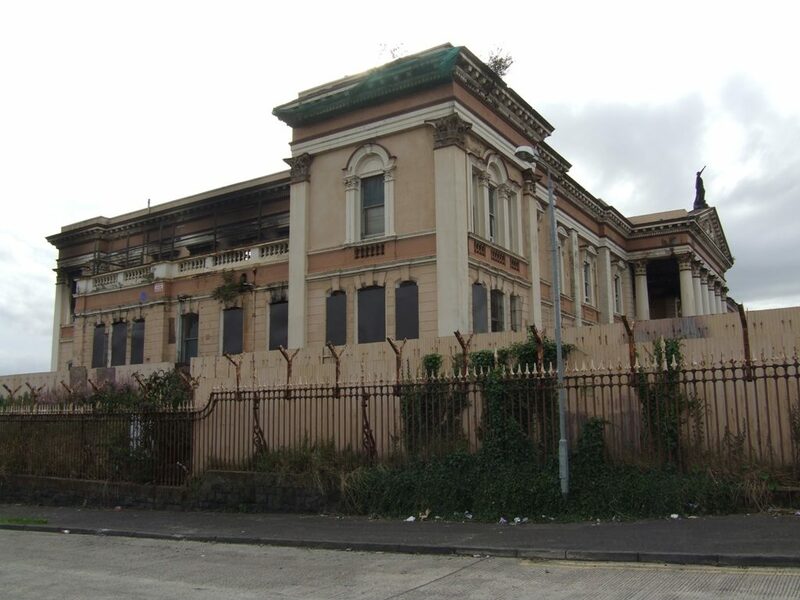 The lower part of the Crumlin Road lies within one of the most deprived parts of Northern Ireland but it contains a number of landmark buildings of significant architectural and historic interest such as Carlisle Memorial Methodist Church, Crumlin Road Gaol and the former Crumlin Road Courthouse. 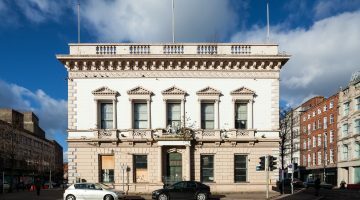 The latter two were built in the mid 19th century, in radically different architectural styles, to designs by the leading local architect of the day, Charles Lanyon (albeit that the courthouse underwent significant alterations and additions by Young and Mackenzie in 1905). Sited immediately opposite each other they form an imposing group and as well as having a functional relationship in the administration of justice they are also physically linked via an underground tunnel. Both buildings are used to being in the spotlight under difficult circumstances but it is the courthouse, empty since the late 1990s, that has been making all of the headlines in recent months due to a series of arson attacks which have seriously damaged much of its roof structure and important interior. It is a grand neo-Classical building with rendered and brightly painted facades. A large hexastyle Corinthian portico dominates the front elevation and is surmounted by a ‘Justice’ figure, now lacking the necessary scales. Internally, the central hall and two court rooms were considered to be the most important spaces. A report by SAVE Britain’s Heritage published in 2004, Silence in Court, reflected wistfully on the imaginative idea to transform both the gaol opposite and the courthouse into a new Public Records Office for Northern Ireland, which of course came to nought (although a draft masterplan has been completed covering the Gaol/Girdwood Park site). They also posed the simple question: How long will it be before an alternative solution is finally found? Planning approval does exist for a hotel on the site, a use which seems even more remote given recent events, but finding an answer to that particular question is more urgent than before.